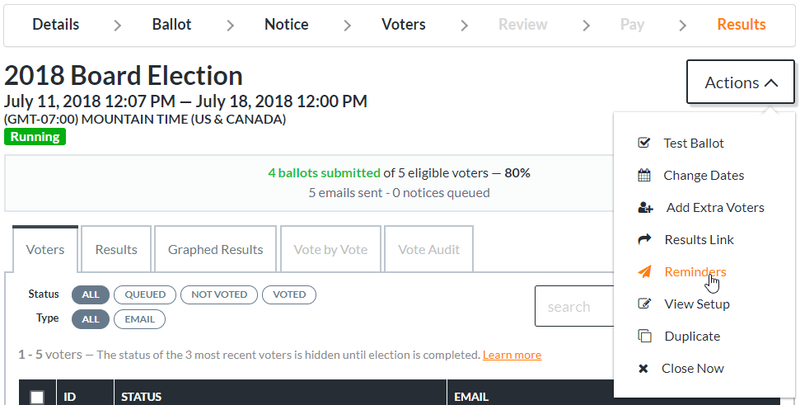 ElectionBuddy allows you to send reminders to all your voters who have not voted. You schedule the reminders, allowing you to set reminders that will automatically be sent for you when the scheduled time comes. 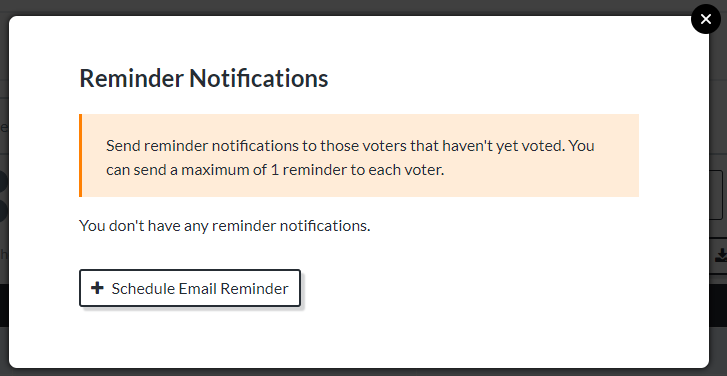 The number of reminders that are included with your election are determined by your election cost (https://electionbuddy.com/pricing). Additionally, reminders can only be used when using an electronic notice method, such as email or SMS notices. 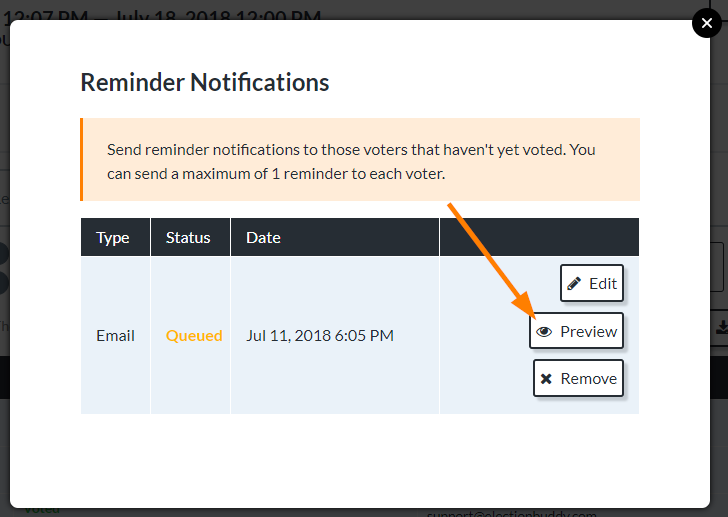 Reminder customizability is dependent on the customization level of your election notices. If you did not choose Advanced Notice Customization of your notices, you do not get it on your reminder. Edit the template (if applicable; see the note above in blue). For more information on editing the template, please see Advanced Notice Customization — Editing Notice, Reminder, and Results Templates. Enter a send date for the reminder to go out. Click "Schedule" to save the send date and your changes. The reminder will go out at your scheduled time. To remove or edit the reminder, please click the associated buttons.